The 9 Best Educational Activities for Children in Florida! Sometimes it’s easy to forget about the array of enjoyable and educational activities for families when you first think of things to do in Florida. Although beaches and theme parks are always an option, our state’s museums, enlightening attractions and interactive exhibits are fun for adults and children alike …and the prices won’t have your wallet feeling empty. Gather up the kids and head out for an adventure with these nine great educational activities in Florida. Does your child dream of exploring outer space? Aspiring astronauts and science lovers will have the time of their lives at the Kennedy Space Center in Cape Canaveral. From real encounter with your favorite space travelers to the adventurous Shuttle Launch Experience, your family will feel fascinated and entertained at this central Florida spot. Kids love the movie “Dolphin Tale,” a story of a sweet dolphin named Winter who learns to swim and function without her tail fin. If you’re in the Clearwater area, you can meet her at the Clearwater Marine Aquarium! Turtles, otters, sharks and more underwater creatures can be found here too. Containing four floors of exciting exhibits and a giant IMAX theater, the Orlando Science Center is easily among the favorite places of most children in the Orlando area. The KidsTown exhibit alone houses over 11,000 square-feet of interactive stations to learn and explore. Are you in the southeast Florida area looking for something interesting to do with your young ones? Young At Art Museum in Davie has endless possibilities when it comes to your creativity. Build sculptures from sand, hear about different cultural traditions worldwide or ride a fun subway! If your kids love to learn about the outdoors, Green Meadows is a great hands-on experience where your kids can touch and feel their favorite animals while being educated on farming. Learn how to milk a cow, feed a pig and take a hayride for a fun-filled day! Whether you’re searching for something to do on a rainy day in Daytona Beach or simply are looking for a way to escape the sun, the Museum of Arts and Sciences is a great spot to take children who love to learn! From a state of the art planetarium to beautiful paintings this museum has it all. 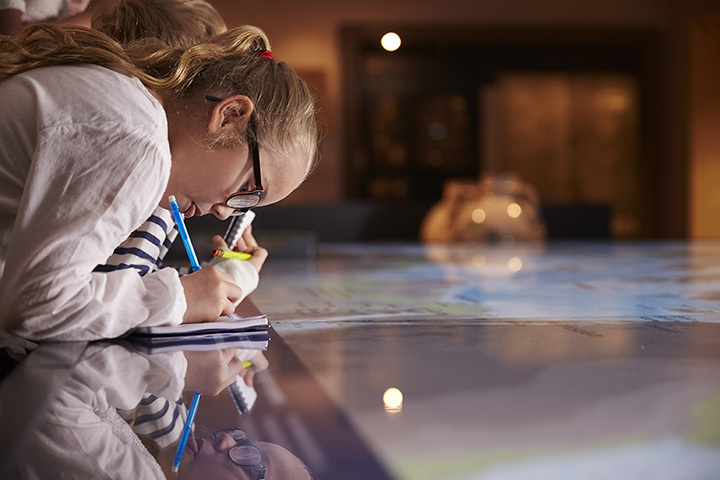 If you’re hoping to take your children to a place where they’ll acquire some knowledge about the history of the sunshine state, History Miami is the place to go. Travel through the folk life, history, tropical wildlife exhibits and more for a great day! This larger than life attraction is perfect for kids who find prehistoric creatures thrilling. Their imaginations will be captured as they run around with these ancient animals while learning about their lifestyles and habitats. “Let your imagination run wild” and head to WonderWorks downtown for an out of the box experience in Orlando. Peruse around the different Wonder Zones to discover fun facts about natural disasters, art and more.